In forty devotional tales, Where God Finds You breathes new life into ancient Bible characters. Live with and learn about more than forty Bible men and women, including the wife of Pontius Pilate, Esther, John the Baptist, Delilah, Lazarus, and Mary Magdalene. Through reflection on Scripture and prayer, you’ll discover a place in each of these lives of vulnerability, tenderness, truth, and love—a place where you can find God . . . and where God finds you. • A dramatic retelling of Scripture that allows the reader to crawl into the pages of the Bible. • The Story from God’s Word: a quote or paraphrase of the applicable Bible passage in a reader-friendly version. • The Story—From Then to Now: a personal reflection from the author to help link the passage to life today. • The Story—Questions to Think About: prompts for personal reflection or group discussion that lead to practical application. 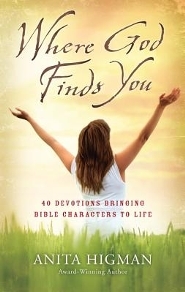 Narelle: I really enjoyed meditating and reflecting on the devotions in Where God Finds You. The forty devotions are based on Biblical people from the Old and New Testament. Some of the Biblical characters are well known, including Peter, Job, Elijah, Joseph (son of Jacob), and Mary (mother of Jesus). Others are less well known including Hosea, Hagar, Tabitha (aka Dorcas) and Manoah (father of Samson). The retelling of the Biblical stories in first person provides a deeper understanding of the character’s unique situation and experiences. The narrative Biblical text is included followed by the author’s insightful thoughts on the Bible story. The questions at the end of each devotion are relevant and thought-provoking. I highly recommend this book to those looking for a challenging and inspiring devotional that could also be used as a Bible study. I received a complimentary copy of this book from the author. Before You Take a Stand … You Got to Take a Chance. Holden Harris is an eighteen-year-old locked in a prison of autism. Despite his quiet ways and quirky behaviors, Holden is very happy and socially normal—on the inside, in a private world all his own. In reality, he is bullied at school by kids who only see that he is very different. Ella Reynolds is part of the ‘in’ crowd. A cheerleader and star of the high school drama production, her life seems perfect. When she catches Holden listening to her rehearse for the school play, she is drawn to him … the way he is drawn to the music. Then, Ella makes a dramatic discovery—she and Holden were best friends as children. Frustrated by the way Holden is bullied, and horrified at the indifference of her peers, Ella decides to take a stand against the most privileged and popular kids at school. Including her boyfriend, Jake. Ella believes miracles can happen in the unlikeliest places, and that just maybe an entire community might celebrate from the sidelines. But will Holden’s praying mother and the efforts of Ella and a cast of theater kids be enough to unlock the prison that contains Holden? This time, friendship, faith, and the power of a song must be strong enough to open the doors to the miracle Holden needs. Narelle: I really enjoyed this inspiring story. We gain an insight into Holden’s world and how his autism, which significantly limits his communication, impacts his family. It also highlights the lack of understanding of Holden’s peers when he is in a mainstream school environment. And offers a sad reflection of human nature when the kids who supposedly have everything feel the need to belittle and bully kids who are unable to defend themselves. The author’s reader letter provides us with the background on the real life story of a young autistic boy who inspired this story. Ella is a courageous teen who isn’t afraid to stand up for what is right and be a voice for those less privileged than herself. I recommend this book to those looking for an encouraging story about how faith can lead to breakthroughs and healing in situations that seem dire and hopeless. Short Book Description: In 31 daily devotional meditations Bethlehem’s Warrior Baby takes you out of a sentimental nativity scene and into a contest with eternal significance. Christmas event that ‘Someone’ has come. I believe Christmas is the culmination of Heaven’s countdown to reclaim men, women and creation from the tyranny of sin, death and Satan. The cost involved to God to achieve this should make the reader bow in awe and gratitude. 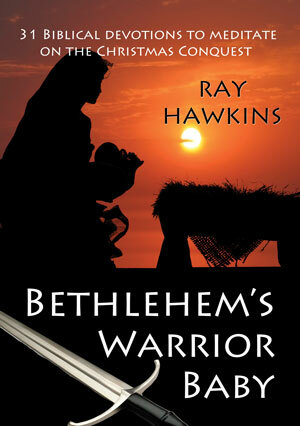 Narelle: I am a fan of Ray Hawkins’ devotion books and Bethlehem’s Warrior Baby lived up to my expectations. I really like how Ray is able to explain complex theological concepts in a way that is easy to understand. The devotions look at how Jesus’ time on Earth fits into God’s plan of salvation for the world. We read verses in both the Old and New Testaments to help us understand why Christmas is truly a time of great celebration. Jesus’ birth is put into historical context. The prophesy and events recorded in the Old Testament pointing to Jesus’ arrival as our Lord and Saviour are explored in the devotions. Each devotion starts with a Bible reading and concludes with a prayer. I highly recommend Bethlehem’s Warrior Baby to those looking to gain a fuller understanding of who Jesus is and the true meaning of Christmas from a Biblical perspective. I also believe this devotion book would be useful for seekers and those wanting to learn more about Jesus and his role in God’s plan of salvation. What we know of Mark is filtered through the New Testament. The first mention reveals the spiritual atmosphere in which he lived, Acts 12:12. His cousin was the lovely man called Barnabas, Colossians 4:10, who took Mark along with Paul on a missionary journey. Mark for some reason left the team. This caused a heated argument at a future date when Barnabas wanted to give him another chance but Paul refused and went off with another team Acts 15:36-40, Mark is the man who seized the second chance to serve the Lord and proved himself to the extent that even Paul considered him favourably in 2 Timothy 4:11. The apostle Peter in 1 Peter 5:13 looks on him as a son. This arose apparently from the fact of sharing with Peter in ministry. This man with the second chance is credited with being the scribe for Peter’s messages. These make up the bulk of the Gospel of Mark. Mark presents to us a portrait of Jesus as the Servant. Two concepts are wrapped up in this term. To the Gentile understanding this meant a person without status, someone who works but his history is unimportant. This explains the absence of any genealogy or nativity accounts. The other concept is from the Jewish/Biblical viewpoint. In their Scriptures this term is one of honour and prestige. Moses is called the servant, so too Israel and the promised Messiah. Mark seems to weave both ideas together through his account. He confronts us after the humiliation of the cross with the wonder that this Servant has been revealed by His resurrection as the Lord and Messiah (Mark 16:19-20). Because Jesus is the Servant we are presented with Him fulfilling that role. He serves the people by such means as healings, feeding the multitude, proclaiming the Kingdom of God and submitting Himself to the atrocious treatment of so called ‘superiors’. All of this was because Jesus saw Himself predominately the Servant of Yahweh. Jesus was on earth to do the will of the Father and though this led to the cross His obedience became our salvation and much, much more! Truly Jesus is the Suffering and triumphant Servant of Isaiah 53. It’s considered that Mark recorded the messages of Peter who was also a man of action. Therefore it isn’t strange that as you read the Gospel you are struck by its fast pace. Key words are ‘immediately’, ‘straightway’, and ‘forthwith’ (depending on translation used). This presentation is for the person who wants the facts unembellished, a man or woman intent on assessing Jesus by what He does. As you read the account the awareness creeps up on you that there is something unique about Jesus. A desire to know more about Him in other aspects of His nature, dealings and achievements grows strong and insistent. Here is part of the reason for the other three Gospels. Matthew gives us an understanding of Jesus from the Jewish perspective. Jesus is the Messiah, the Son of Man and Son of God. Luke presents Jesus as the Second Adam, God’s ideal man while John unveils Jesus as the Lord of Glory. There is so much waiting for you within Mark’s writings about Jesus and also about being His disciple. Read it, underline what speaks to you or record it in a journal. Then avail yourself of a good commentary suitable for your needs. You will discover this Jesus is still the Servant caring for His Church and World and wants to take you on His journey to cause others to say of Him, “My Lord and My God”! I began my life’s journey in 1938 so you can see I’ve outgrown my youthful zest. Raised in Rockdale, a Sydney suburb of NSW I grew up in a typical (if such exists) working class home. My father was a returned soldier. Enjoyed sport and Sunday School but not State schools. I have 2 sisters and 1 brother all younger than I.
I made a decision for Christ around 12 years of age but didn’t really become serious until around 18 years. I began work at 15 as a labourer. The 1959 Billy Graham Crusade in Sydney impacted me greatly. That and a new minister at Church caused me to think about the Christian Ministry. 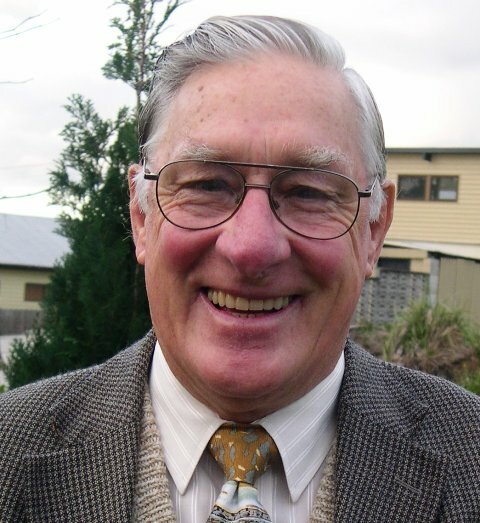 Entered Bible College in 1960 aged 21 and enjoyed 4 years of studies, inter-action and being chiselled and shaped by God in heart and mind. I met my future wife, Mary in my final year. She was doing a two year course. We married in 1964 and have three children. Now retired after 40 years of ministry I stand in awe of God’s faithfulness and guidance. Mary and I were church planters and often self supporting. Three short term mission trips to Africa in our more senior years also was a wonderful and humbling experience. It triggered also my writing career as a poet and devotional author. Early this year, I had a sudden idea. 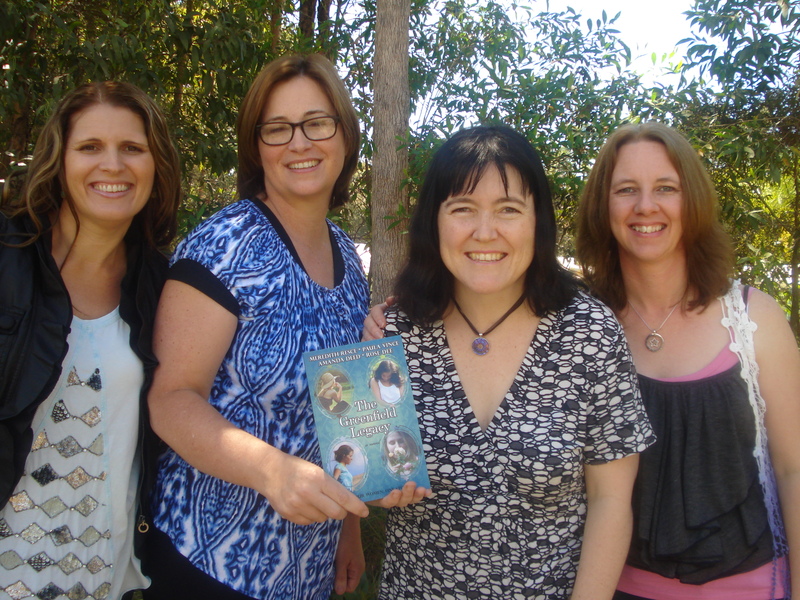 I thought it would be great for four Australian Christian fiction authors to collaborate together on a novel. I asked three friends, Meredith Resce, Amanda Deed and Rose Dee, if they would like to join me in the adventure. I call it that because it was unexplored territory for all of us and we had no idea how we would make it work. 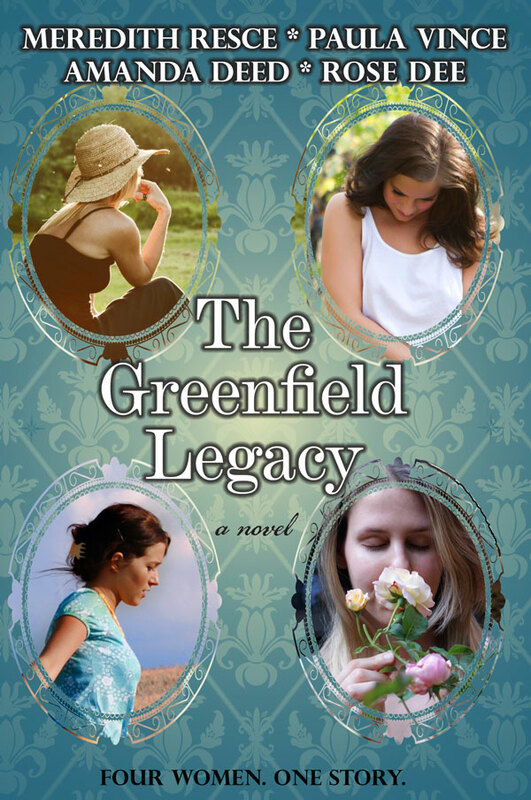 We learned as we went, and now have a brand new novel, “The Greenfield Legacy” which we’re all proud of. I’d love to share some of my favourite surprises about collaborating that I discovered during the process. Firstly, when four people set to work brainstorming a plot and cast of characters, the result is a lovely blend of signature strengths, nothing like anybody expects. We had two historical fiction and two contemporary fiction authors. Our tale spans four generations, complete with plot twists, family secrets, romance and drama. We were each assigned one of four key characters, from whose point of view we would write. Some of the storyline developed organically as we went along, so we each found our own characters having to react to unexpected events from the minds of the other authors. We are sure this helps give the story extra credibility and depth. Secondly, it’s good to challenge readers to try to tell our voices apart. This is already making us smile, as we know several readers have not got it right at all. We loved the opportunity to be able to explore significant issues from the perspectives of our separate characters. These include the repercussions of adoption within a family, the effects of withholding forgiveness and the possibility of snatching chances to undo former mistakes. We attempted to make readers understand the totally opposite feelings of different characters, providing a thought-provoking as well as enjoyable read. How can one decision cause so much pain? Can it also bring hope? Mattie was in love with Billy, but she was too young to wed. When Billy was conscripted to fight in Vietnam, they made a decision that impacted their lives and their future. But so much pain resulted that Mattie never really healed. Every turn Mattie made affected her daughter and her granddaughter in ways she didn’t even realise. But forty-six years later, is it time for things to be set right? Navy is a young woman who has never known her family. But what could be a wonderful opportunity is met with jealousy and apprehension from her cousin, Brooke, and her aunt Connie, especially with handsome Aidan around. Each must look past their struggles and find forgiveness and trust, and perhaps even love. Left to Right: Rose Dee, Meredith Resce, Paula Vince, Amanda Deed. 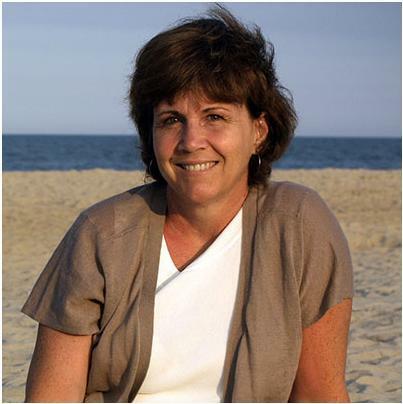 Award-winning author, PAULA VINCE loves to evoke tears and laughter through writing fiction. She stirs her stories with mystery, romance, drama and suspense to create something delectably special. A wife and homeschooling mother of three children, she resides in the Adelaide Hills of South Australia, a beautiful spot for inspiration with its breath-taking scenery and four distinct seasons. For over ten years, Paula’s aim has been to provide quality faith-inspired fiction set in Australia. Her quest started way back when, as a Uni student, she discovered the writing of American Christian fiction authors. Her passion is to provide the same enjoyable reads highlighting her own country. After years of plodding on with minimal return, as Australian-based Christian fiction was regarded as something of an oddity, Paula’s efforts are beginning to bear fruit, at last. Her novel, “Picking up the Pieces” won the religious fiction section of the 2011 International Book Awards. Her novel, “Best Forgotten” was the winner of the 2011 CALEB Award in the fiction category, and also recognized as the best overall entry for the year, chosen over memoirs, devotionals and general fiction. She is delighted that her books are now available for international readers too. 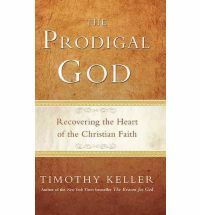 In THE PRODIGAL GOD, New York pastor Timothy Keller uses the story of the prodigal son to shine a light on the central, beautiful message of Jesus: the gospel of grace, hope and salvation. Keller argues that the parable of the prodigal son, while Jesus’ best-known parable, is also his least understood. He introduces the reader to all the characters in this timeless story, showing that it concerns not just a wayward son, but also a judgemental older brother and, most importantly, a loving father. This short but powerful book is a reminder to the faithful, an explanation to the seeker, and finally an invitation to all – both older and younger brothers – to enter in to the ‘unique, radical nature of the gospel’: the reckless, spendthrift love of God. Narelle: I enjoyed reading this book. The author defines sin in a way we can easily relate to and apply to our own life situations. He explains why both the younger brother and older brother in the Prodigal Son parable are lost and following the wrong paths. He highlights the attitude problem people can encounter when aspiring to live moral lives. Chapter One also addresses the question of why people like Jesus but not the church. The book is short, approximately 130 pages, and very easy to read. I recommend this book to those looking for a challenging and thought-provoking read based on Biblical truths. In my book, In the Shadow of Sinai, Bezalel has to learn to accept God’s will in his life after several shattering blows. Submitting to God’s plan for our life can be painful, even agonizing. I know. When we got married, my husband and I both wanted a large family. We started trying to get pregnant after he came home from a six-week trip to Vietnam for CNN. At that point we’d been married almost two years. He traveled quite a bit, so we tried for two years instead of the standard one before we saw a doctor. We spent six more years swallowing pills and getting shots. I prayed and cried, and cried and prayed. I hated Mother’s Day. I was terrified of spending the rest of my life without a child. I’d see pregnant teenagers clearly not ready for motherhood, and abandoned babies, and abused children, and wonder why our prayers remained unanswered. A few months ago a faithful Haitian man in our church died after a long battle with cancer. He’d dedicated his life to evangelizing the Haitian people in Washington, DC. 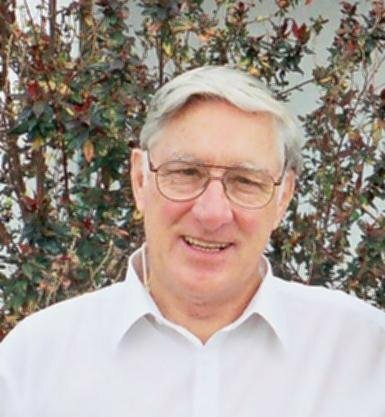 He pastored the Creole-speaking church his father started, distributed Bibles, even resigned a lucrative job to drive a taxi to more actively share the Gospel. His widow is having a difficult time understanding why God would call home such a hard-working and effective servant. Last month she was diagnosed with breast cancer. Stories like these don’t seem fair. Sometimes, in time, we can see a reason for God’s actions. We eventually had one bio child, and adopted three more babies from Kazakhstan. We have a crazy, wacky set of four kids that share no DNA and very few traits, but make for a chaotic, fun, and love-filled house. Had we not brought them to our home, they most likely would never have heard the Name of Jesus. Perhaps one day one will take it back there, and be able to share it as only native-born people can. Maybe not. Only God knows. Sometimes we never see His plan. My mother-in-law died shortly after we were married. I adored her. She was forever buying Bibles and giving them away. A couple weeks after the funeral we received a call from the Christian bookstore saying a special order she had placed had arrived—Bibles. My children will never know her. I can’t see any good in her death. Why would God take her? I still don’t know. Only God knows. Yes, submitting to the sovereignty of God will can be bitter. Matthew tells us, “Are not two sparrows sold for a penny? Yet not one of them will fall to the ground apart from the will of your Father.” I don’t have the desire or the theological training to discuss whether he wills or simply allows the sparrow to fall, or the faithful man or my mother-in-law to die, but I know He is sovereign. Bezalel’s grandfather told him, “You can trust God, or you can be blown about like a leaf in the wind.” Without faith in our heavenly Father, life will knock you down, take you out, and eventually destroy you. Or you can cling to the Rock. Even when you just can’t understand, when you feel overwhelmed, God will hold you close. Say to Him, “You are my hiding place; you will protect me from trouble and surround me with songs of deliverance.” He will. In the midst of all the uncertainty and anguish, I promise He will.